I have two favorite movies, neither of which I’m able to pick one over the other. I love them both, and all other movies come after it, first is 1960’s The Alamo which I’ve reviewed before and then there’s 1963’s The Great Escape. Introduced to it at a young age when I showed an interest in history, I’ve probably seen it 25 or 30 times straight through, and another 75 or 100 catching bits and pieces. For me, it is that rare perfect movie. Great story, impressive cast, exciting action, and one of the best soundtracks ever. You can’t ask for much more. In World War II, both the Allies and Axis forces had to deal with how to handle prisoners of wars. In Germany, the Luftwaffe, the German Air Force, was placed in charge of these Allied prisoners, placing them in P.O.W. camps all over their occupied territory. These prisoners — as was their sworn duty — tried countless escapes over the length of the war in typically small groups, sometimes getting as many as a dozen out. But one true story set the bar for heroism and courage among the prisoners, the true story of 76 prisoners escaping Stalag Luft III in March 1944. Literally hundreds of prisoners were involved in the effort as the escape even had an impact on D-Day some three months later. It’s 1943, and a new prison camp has been built. The German Luftwaffe has taken the worst prisoners from all their camps and thrown them in this new camp that features all the security aspects they’ve learned from previous camps. In this “perfect” camp, the Germans (Hannes Messemer is the commandant) intend to watch these men very carefully. Leading the prisoners is Roger Bartlett (Richard Attenborough), dubbed ‘Big X’ for his leadership at the top of the ‘X Organization,’ a team of prisoners working together to bust out as many captured soldiers as they can. Bartlett has bigger plans though this time around. Instead of just getting two or three prisoners out, he intends to get 250 out of the camp with a large-scale plan that includes three extremely long tunnels under the barbed-wire fence. The plan seems impossible, but the prisoners go to work, slowly working their way toward escape. Do you know the line ‘They don’t make them like they used to?’ This movie applies. Director John Sturges (one of my favorites and an underrated filmmaker overall) turns in his all-time best film, one that stands at or near the top in the lexicon of World War II movies. It is based in fact, sticking to the details and truths in the story, without getting bogged down. There is action, humor (never overplayed, just natural humor arising from the situation), and characters you love and are generally rooting for. Composer Elmer Bernstein turns in a score that is one of the greats, especially the main theme, listen HERE. Bernstein’s score both drives the story as needed and keeps it grounded in the quieter, emotional scenes (including one where a tunnel is discovered and its tragic consequences). 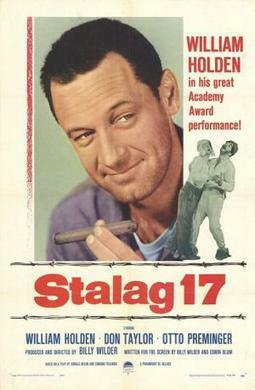 Sturges filmed in Germany — as his assistant said, ‘Germany looks like Germany.’ An entire camp was built, an exact duplicate of the actual camp, bringing this 1963 epic up another notch in terms of realism and authenticity. Sturges’ movies were famous for their male-dominated ensemble casts, but this may be his most impressive. Start with Steve McQueen as Hilts, the motorcycle-riding ‘Cooler King,’ the role that shot him to international stardom. Then there’s James Garner as Hendley, the scrounger, and Attenborough as Bartlett, the prisoner’s top man, a brilliant mind who comes up with this improbable plan. Not bad, huh? Oh yeah, there’s also James Donald as Ramsey, the senior British officer, Charles Bronson and John Leyton as Danny and Willie, the tunnel kings, James Coburn as Sedgwick, the manufacturer, Donald Pleasence as Blythe, the forger, David McCallum as Ashley-Pitt, “dispersal,” and Gordon Jackson as MacDonald, the intelligence officer. Other prisoners include Nigel Stock, Jud Taylor and Angus Lennie in a small but essential part as Ives, Hilt’s progressively wire-happy partner. A more impressive cast could be impossible to assemble. What is amazing is that even with all those stars — some on the rise, some already established — is that they all register, they all make a lasting impression in a positive way. More on McQueen later, but Attenborough delivers a career-best as Big X, the driven even obsessed leader who wants to take the war back to the Germans, not sitting out the war comfortably as his captors intend. Garner’s Hendley bonds with Pleasence’s Blythe in some of the movie’s most touching scenes, two very different people forming a friendship. Bronson and Leyton as the tunnel kings certainly make an impression, carving three tunnels out of the Earth 30 feet below the surface. Bronson is at his best, a Polish flyer with claustrophobia who hides his fear of small, enclosed spaces and digs. Coburn doesn’t get a ton to do compared to the others, but is his usual, laconic self. There is not a weakness in the cast from top to bottom. When movie fans think of The Great Escape, they usually go right to Steve McQueen, a rising star who got his crack at the big time here and didn’t disappoint. His Capt. Virgil Hilts is one of his most iconic roles, the loner, trouble-making American prisoner who attempts escape attempt after attempt. What’s funny is that his character basically disappears for vast stretches of the movie, only to reappear after a stint in the cooler and steal every scene he is in. This is McQueen at his laid back, scene-stealing best. With all the notable actor’s actors around him, he is the unquestioned star thanks in great part to the finale, a motorcycle chase across Germany with his captors in hot pursuit. It is one of the greatest chases sequences ever, caped with one of the most impressive stunts ever, a 7-foot jump by stunt man Bud Ekins over a high-strung barbed-wire fence. McQueen is my favorite, but this is always his best to me. With a final run-time of 2 hours and 53 minutes, Sturges’ true story doesn’t have to rush along at a lightning pace…but does anyway. The first 105 minutes or so focus exclusively on the escape attempt, putting all the little details together that need to happen. The first and biggest of course is the digging of the tunnels, 30 feet down and over 300 feet straight out. A track is built to transport prisoners/diggers, and wooden boards are needed to shore up the entire length of the tunnel. Up above, forgers create documents, tailors make clothes, Intelligence gathers information, all part of an elaborate system of security and watchmen to make sure nothing is discovered by their ever-vigilant German guards. It would have been easy for this movie to get bogged down in these details, but The Great Escape revels in them, making the mundane and possibly boring, exciting at a breakneck pace. It is a movie called ‘The Great Escape’ though, and it is at its most exciting once the prisoners do escape, 76 of them in the dead of night spread out all over the German countryside. The escape attempt covers the last hour of the movie, an incredible extended sequence that is hard to top. It is almost entirely dialogue free, Bernstein’s score playing over the action the whole way. Finally free of their camp, the prisoners make their efforts to hopefully reach freedom, some by train, some by bikes, others by planes, and in Hilts’ case, a stolen German motorcycle. Sturges was an action master, and this may be his tour de force sequence. I could go on and on with this movie, and I’ve already sort of done so. My head is full of little tidbits of information that I’ve picked up over the course of repeated viewings. Above all else through the drama, the facts, and the action is that Sturges gets the tone right from Paul Brickhill’s source novel, and most importantly, the true story it is based on. These men did the impossible in an impossible situation. Knowing their chances of escape back to freedom were slim, they plodded on when they could have just as easily quit. If you didn’t know and just read the details — check out the Wikipedia entry HERE for more details — you would say there’s no way this happened, but somehow, some way, it did. The ending hits you square in the stomach as it should, but the movie ends on a positive note; McQueen’s Hilts once again in the cooler, bouncing his baseball off the wall. You may capture him again, but you’ll never stop him from trying. A perfect movie, one of the best around, and one of my two favorite movies. Before he became instantly recognizable as TV detective Kojak, Telly Savalas was a staple in tough guy movies in the late 1960’s and through much of the 1970’s. While many American stars went to Europe during this time to star in the spaghetti western flicks, Savalas sorta did that, heading to Europe for a trio of American-backed westerns that are quasi-spaghettis. The look, the feel…it’s almost there. The list includes 1972’s Pancho Villa, 1971’s A Town Called Hell and today’s review, 1969’s Land Raiders. In the Forge River Valley in the Arizona territory in the 1870’s, rancher Vince Carden (Savalas) is king. With his immense cattle ranch, Carden keeps scooping up land as other smaller ranchers simply can’t keep up, both with him and raiding Apaches. One day, Carden’s younger brother, Paul (George Maharis), rides back into town after several years away from the family’s ranch. The reason? A tragic incident from their past, Paul forced to ride away. He’s drifted back home now, but his timing couldn’t have been worse. Vince continues to try to sweep away the raiding Apaches nearby, but efforts are being made to broker a peace treaty. Vince though…he may have ulterior motives. Right in the middle, Paul returning and simply looking for some answers. I caught this western a couple times as a kid when it aired in the afternoon on TBS (oh, those were the days). From director Nathan Juran, ‘Raiders’ is a pretty good example of a wave of spaghetti western knockoffs that American studios released trying to duplicate the success of Sergio Leone’s Dollars trilogy. None reached those levels, but they’re almost uniformly entertaining. The filming locations here are familiar (in a good way) and frequent Ennio Morricone collaborator Bruno Nicolai turns in an excellent score that’s fairly reminiscent of the iconic Dollars scores (also in a good way). Give it a listen HERE. It doesn’t rewrite the genre, but I’m always entertained here. My favorite Savalas role is in 1970’s Kelly’s Heroes, the rare role where he isn’t the villain. Man, he was so good at playing that dastardly, bastardly, bloodthirsty bad guy. That’s the case here in ‘Raiders,’ his Vince — actually Vincente Cardenas — is as greedy as they come, and he doesn’t care how many bodies he has to climb over to get to the top. Maharis is solid as Paul — actually Pablo Cardenas — who returns to deal with his past, a former love who died under suspicious circumstances. Not quite a heroic good guy, he nonetheless is far better than his brother. A cool dynamic between the Carden/Cardenas brothers. Not much star power on display here in ‘Raiders’ other than our lead duo. Arlene Dahl plays Vince’s wife, oblivious to her husband’s actions, Janet Landgard as Kate, the sheriff’s daughter returning to town at the wrong time, Guy Rolfe as Major Tanner, the cavalry commander with an English accent (? ), and Phil Brown as Sheriff Mayfield, torn between his boss (Vince) and his morals. Also, in some bizarre casting, Paul Picerni plays two different roles, one as Vince’s henchman and another as Arturo, an old friend of Paul’s. Are we not supposed to notice? Also look for John Clark as Ace, another Vince henchman, and familiar face Fernando Rey as a priest who makes a lightning-quick appearance. I’ll give ‘Raiders’ credit. It deals with familiar territory — Indians vs. settlers/ranchers — but manages to make it interesting and unique. Some foggy, stylish flashbacks help illuminate the Carden/Cardenas history, revealing a twist that’s not so twisty in the end. It clocks in at 101 minutes, fleshed out with some footage from a 1950’s American western I can’t place. Much of the budget seems to have been saved for an action-packed finale as the Apaches finally attack a forted-up town defended by the townspeople and the cavalry. Pretty dark ending all-around. A classic? Nope, but pretty entertaining, and decidedly different. Worth a watch.